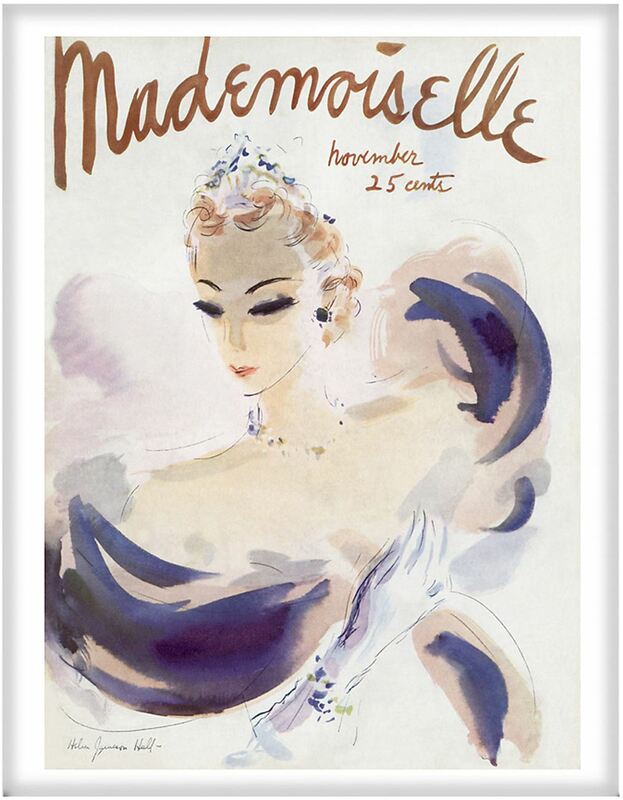 One Kings Lane offers up curated sales of top-brand and designer items... and when I saw they had framed prints from Condé Nast on sale, I had to check it out. I'm not in the market for art pieces at the moment, but with my love of magazines and vintage, this collection is right up my alley. These are just a few of the prints available. Sale ends in less than two days! 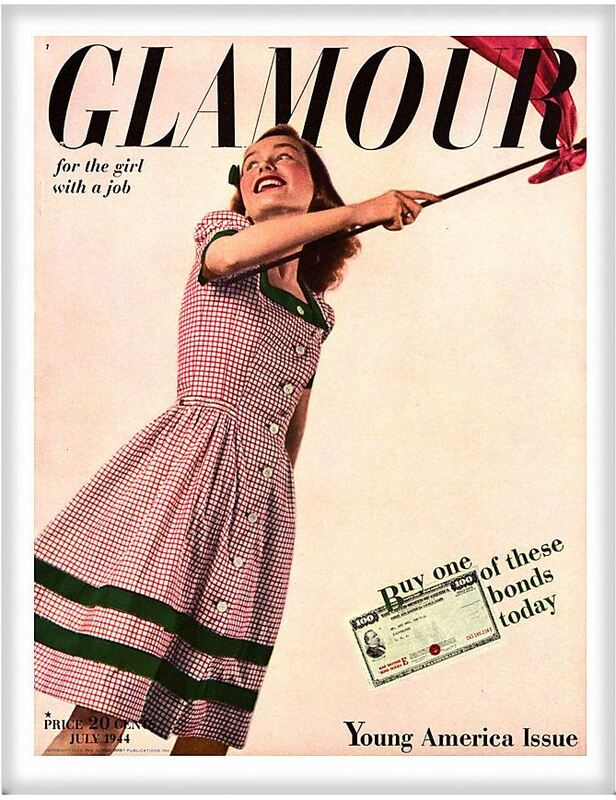 The cover of Glamour magazine in July 1944, which was the "Young America" issue. 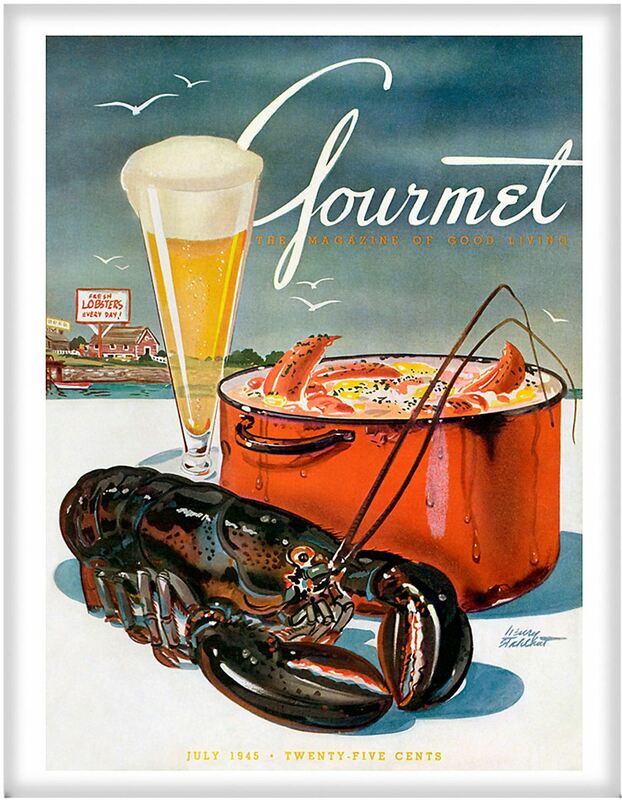 Evocative of summertime in Maine, this Henry Stahlhut illustration features a brimming lobster pot and fresh-cooked lobster, alongside a golden glass of beer. It appeared on the cover of Gourmet in July 1945 cover. 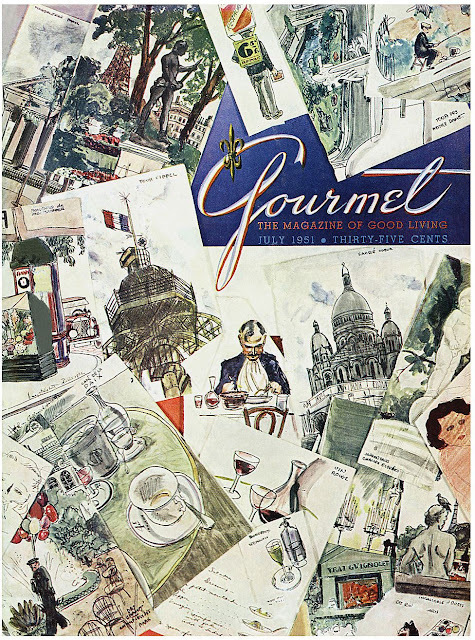 Instead of his typical vision of a single elegant repast, artist Henry Stahlhut composed a celebration of the Parisian culture of food, using an assortment of small illustrations of French symbols, food, and wine for the July 1951 cover of Gourmet. In an entertaining flourish rarely seen today, Champagne cascades into a pyramid of glasses. 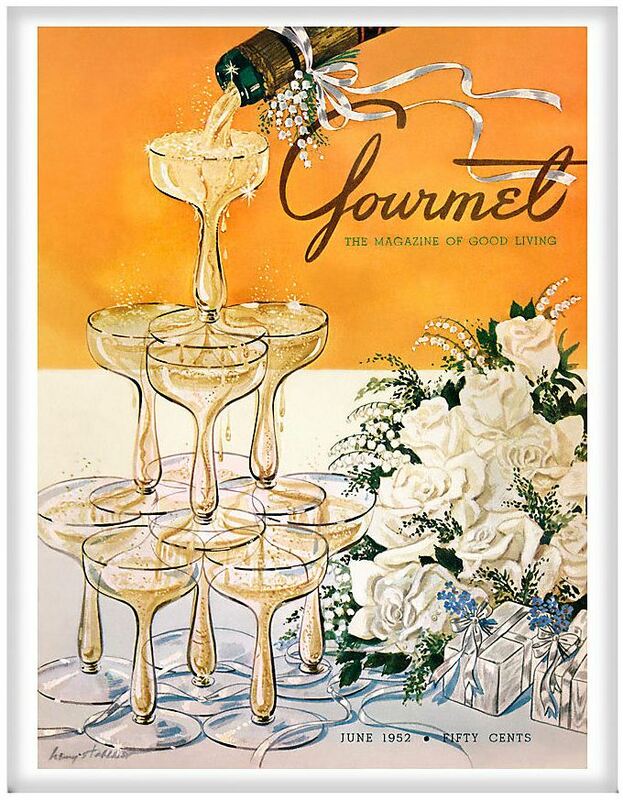 This June 1952 cover of Gourmet is set in the whirl of weddings; a bouquet of white roses and baby's breath, and silver-wrapped wedding gifts complete the picture. A revolutionary of fashion illustration, the French-born Georges Lepape was the first to use action and intrigue in his work in the field. 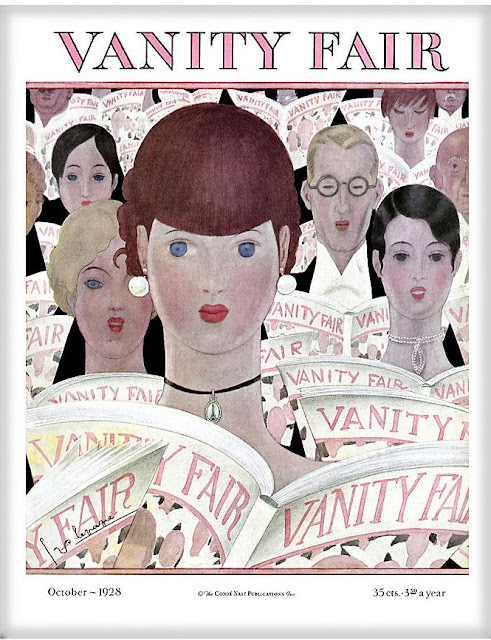 Lepape illustrated the first cover of Vogue's British edition. Here, Vanity Fair is wittily shown as the clear choice for sophisticates of the late 1920s. Helen Jameson Hall created this illustration for the cover of Mademoiselle in November 1936. The subject, wearing a purple plume, headpiece, and white gloves, appears utterly elegant. 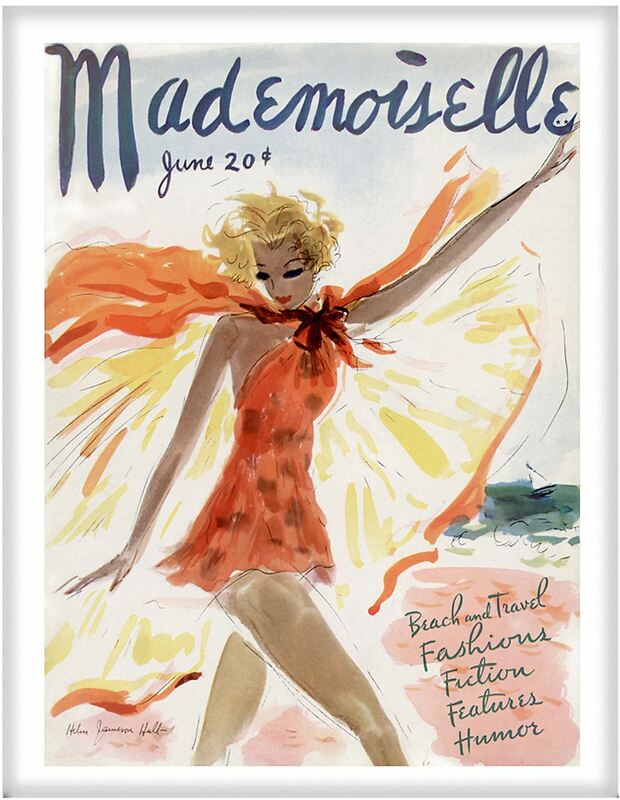 This subject reflects the radiance of the summer sun, in an illustration by Helen Jameson Hall that appears on Mademoiselle's cover in June 1936. The caption on the February 1915 cover of Vanity Fair magazine read 'Ready for Palm Beach.' 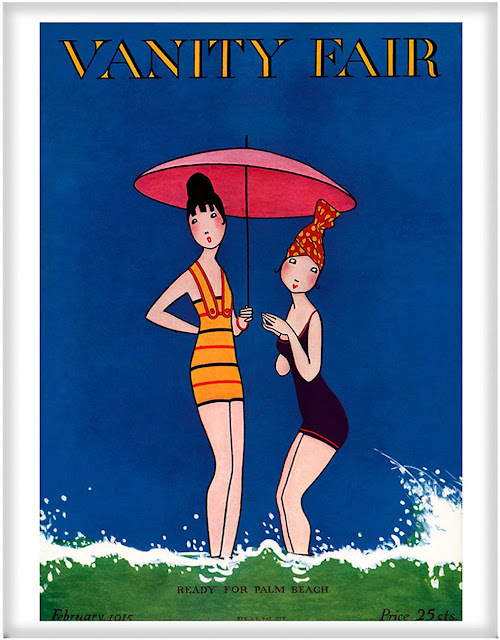 Clad in the fashionable swimwear of the period, two women preen among the waves, shielded by a pink parasol. This illustration is by A.H. Fish.